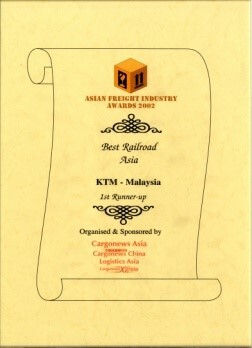 KTM Kargo provides cargo services that are safe and reliable, with a network that is highly accessible form seaports and inland Container Depot (ICD) as well as urban and rural areas, it is a cost-effective way to move you goods. Our cargo services are suitable for high-risk material, as it comes complete with insurance coverage. We have a variety of wagons to suit your cargo needs. Generally, cargo is moved either in open or covered wagons. 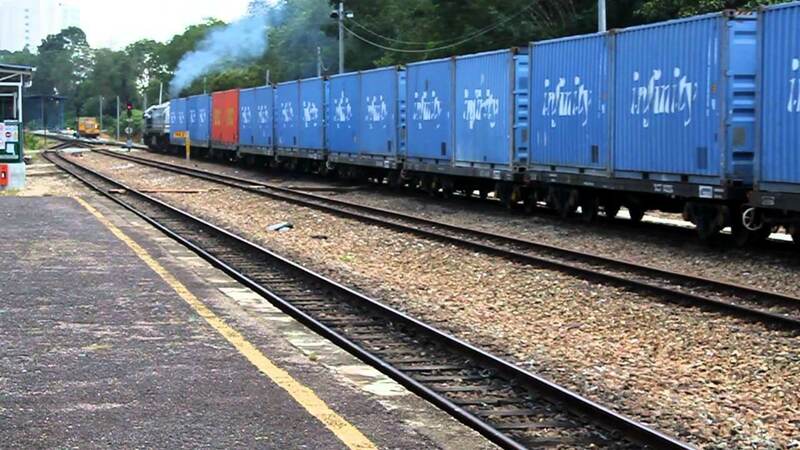 However, in the future, all covered wagons will be replaced with containers to allow flexibility in the sense that the goods can be dismounted from the train and delivered directly to the customers’ premises thus, living up to the concept of door-to-door delivery. 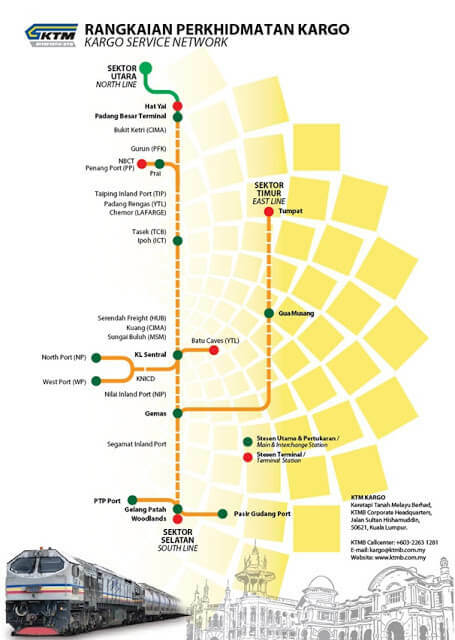 Click to view KTM Kargo route map..
Service available in KTM Kargo.. 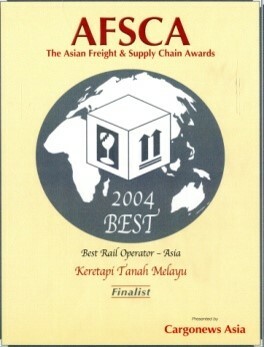 The Landbridge Services is a services that train load of containers made its way from Setia Jaya (Sg. 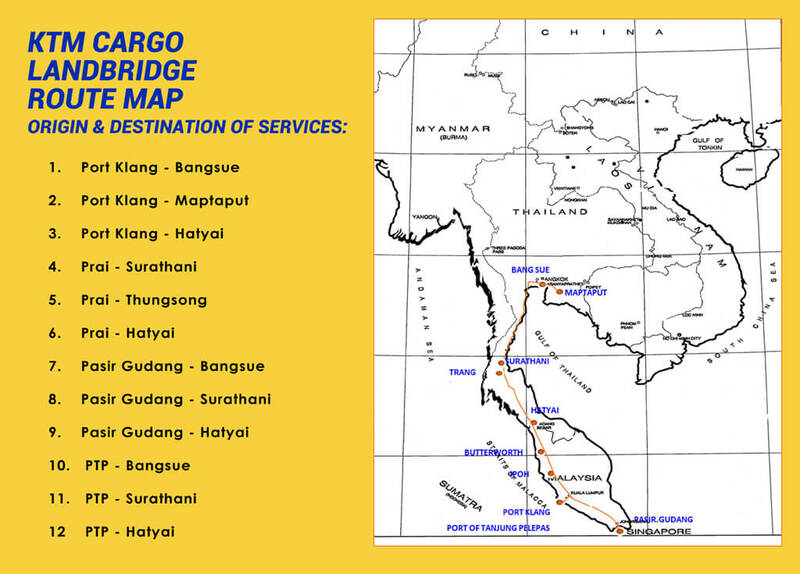 Way), Selangor to Bangsue, Thailand.Landbridge Services also a testimony of KTM Berhad’s commitment towards the setting up of the Trans-Asia Rail Link, the proposed connection that has the potential to strengthen and enhance trade between Asean and China. 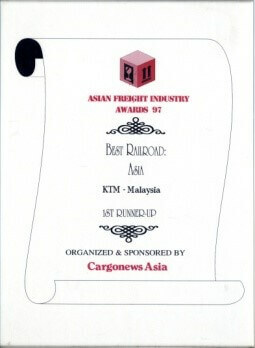 Through the service, a total of 80 TEUS/40 wagons of cargo can be moved per trip, with an average of 4,500 TEUS monthly. 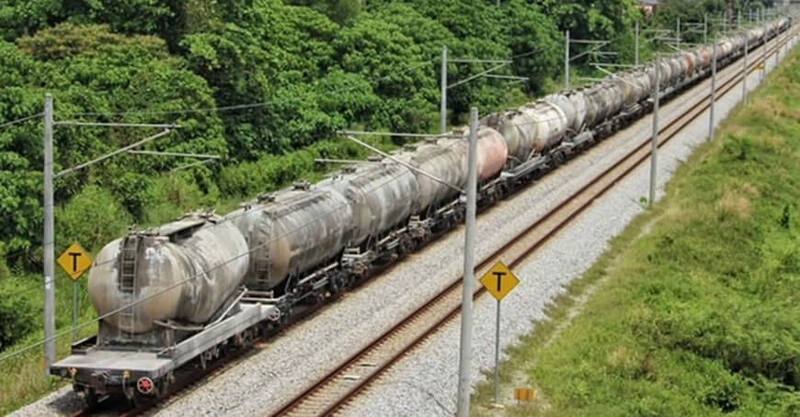 Cargoes normally transported using this service include steel, chemical, gypsum boards, machinery, electronic products and consumer goods. 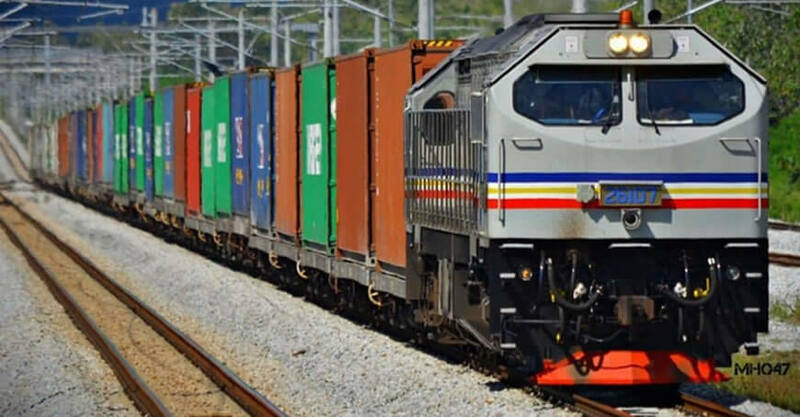 More about terminal KTM Kargo..
KTM Berhad has made large investments in the acquisition of wagons and at present, we have the capacity to carry about 1,000 TEUS daily. 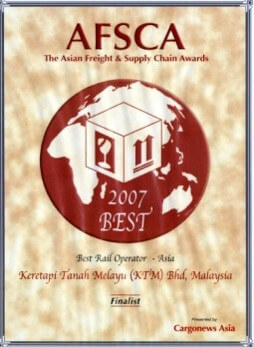 Padang Besar Terminal (PBT) Multimodal Freight Services 14,000sq meters with a separate storage yard for 500 TEUS ground slot for MT’s. 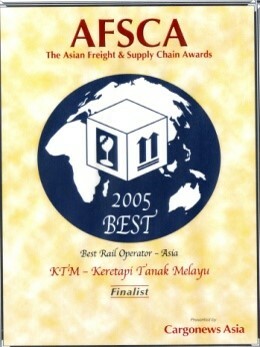 custom ocumentation and clearance, cargo consolidation, stuffing / un-stuffing and Maintenance and Repairs. 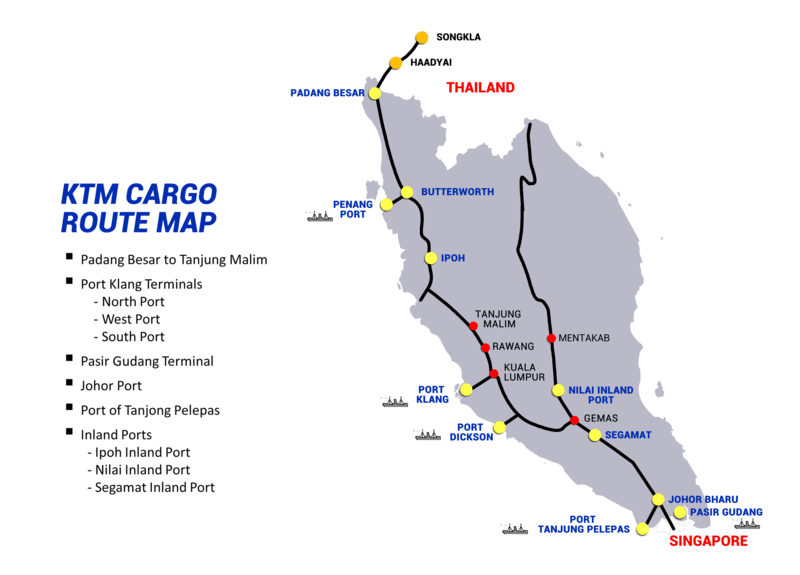 Butterworth Container Depot (BWCT) Multimodal Freight Services 4 acre with storage capacity for 800 TEUS Cargo handling and open storage, bounded warehouse, Port Service, documentation and clearance pick up and delivery by road. cleaning and Maintenance and Repair. 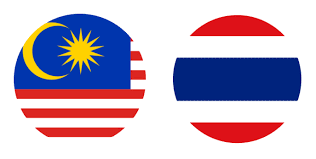 Ipoh Cargo Terminal (ICT) Ipoh Cargo Terminal 3.5 acre with storage capacity for 800 TEUS laden and 1300 TEUs MT’s Cargo handling and open storage, bounded warehouse, Port Service, documentation and clearance, pick up and delivery by road, cleaning and Maintenance & Repair. 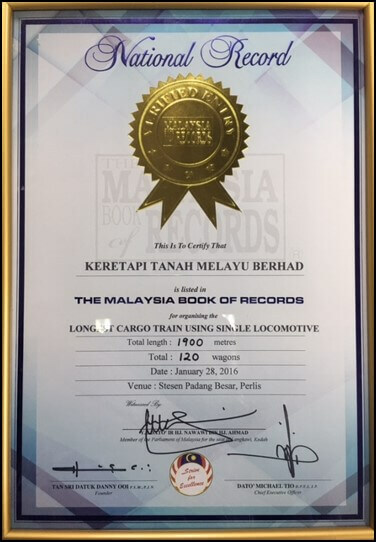 Segamat Inland Port (SIP) Segamat Inland Port 25 acre with storage capacity for 5, 000 – 7, 000 TEUS laden and MT’s Cargo handling and open storage, bounded warehouse, port services, documentation and clearance, pick up and delivery by road. 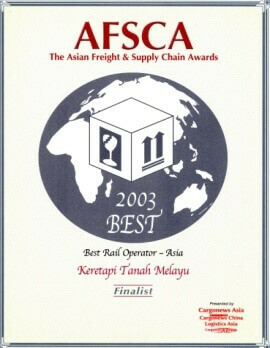 Open storage, pick up and delivery by road, cleaning and Maintenance & Repair. 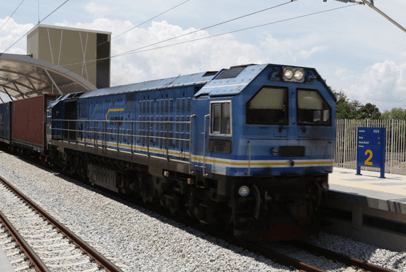 The 800 meter train with a trailing load of 2,500 m/tonnes made a historic journey officially on 25 October 2010 from Padang Besar to Butterworth. 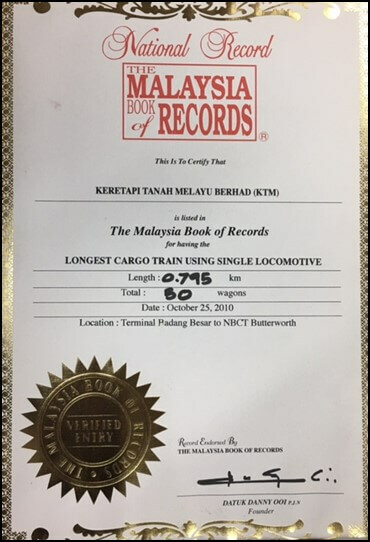 In 2010, with the running of 50 wagons per train, KTM Berhad have been inducted into Malaysian Book Of Records as a holder of Malaysian/South East Asian’s Longest Cargo Train Hauled By Single Locomotive.